Maximize your Mindroid experience with external glasses. 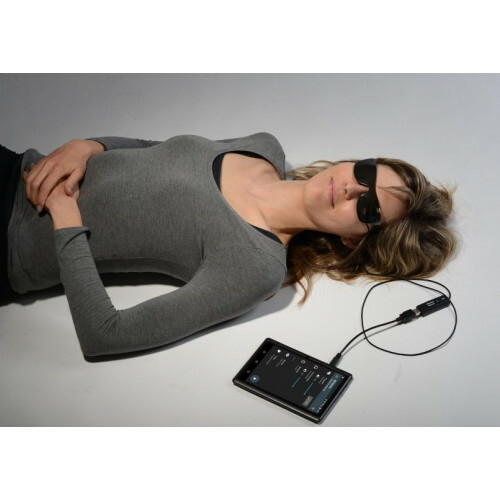 Easy, comfortable & effective audiovisual stimulation. Mindroid Glasses were designed to enhance your experience with the Mindroid application. 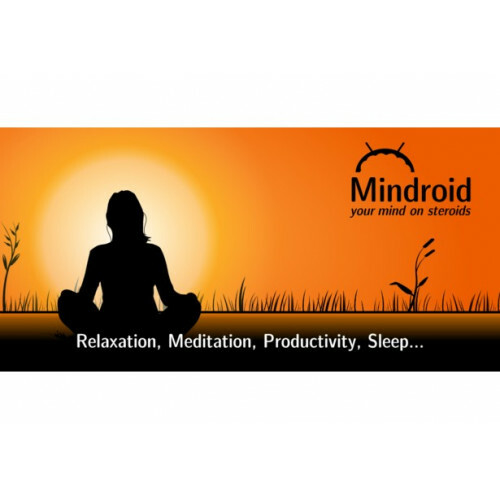 Use up the potential of Mindroid, the first application that allows you to enjoy an audiovisual stimulation everywhere just with use of your Android device. With our glasses, the stimulation reaches efficiency of expensive, complicated mind machines. Connect the glasses to your smarthphone via micro USB and enjoy the effects. Together with the application, the glasses represents a new generation of mind machines completely different from ordinary devices. It's possible to use the glasses with PC too, using our AVS Studio program. All the pictures are illustrative only. The colour and appearance of the product can differ according to what is offered by our suppliers. Note that headphones aren't delivered. We believe that everyone possess headphones that perfectly suit him nowdays, so people will use the headphones most comfortable for them. 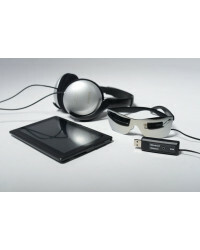 In any case, you should not forget to use the headphones, because sound is very important part of the stimulation. Not only sounds provided by the application are usable, to the session you can add music from your smartphone as well. Similarly, you won't acquire the application with the glasses, but you have to download it from Google Play. Since the free version allows you to use the default settings only and therefore its use is very limited, we recommend you to buy the full version. By doing that, you'll get access to wide rage of functions, settings and online program library. Without the access to them, you could hardly use up the potential of both glasses and the app. Though, you don't have to rely on the ideas of developers only. For example, the Mindroid application newly allows you to add your own music to the sessions. And if you have your own ideas how a multimedial session should look like, you can create it using our AVS Studio program for PC, which is free to download here. If you don't want to do such experiments, the program allows you for example to add music to existing sessions. With this program, you can use the glasses with your PC, so whatever you create or change don't affect the Mindroid app. The glasses, comfortable and of modern design, are working with over 16 million colours. That's an important fact, because the more colours is the mind machine able to generate, the more efficient can the visual stimulation be. They're controlled by the Mindroid app and connected via an micro USB cable to your Android device. 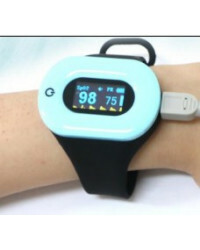 Be aware that people suffering from epilepsy must not use this device and its usage is not recommended to pregnant women as well. The display is flashing, so why do I need the glasses? * The glasses are much more accurate, they are flashing in the defined frequency - between 0 and 60 Hz - with a microHz accuracy. However, a display or a screen is able to work only with certain frequencies; when trying to reach the rest of them, the flashing is getting irregular. Due to that, reaching the wished result is more difficult without the glasses. * The light-intensity of the glasses is higher, while a display lights incomparably less. That means that especially on daylight or when some powerful external light source is on, you cannot see almost anything on a display. In these circumstances, the stimulation is very poor or none. * To have the flashing light on display working correctly, a relatively powerful Android device is required. The glasses don't have such high requirements. * The glasses, a wrap for them and an USB cable. Why should I use flashing light, while binaural can do the same job? * The efficiency of binaural and the other visual stimulations than flashing light remains questionable, since the effects are subjective on the first place, so it's hard to scientifically prove them. * The flashing light has been used for a long time in medicine, but while it's effects are mostly subjective as well, many studies proved that this kind of visual stimulation helps to tune a brain to the wished frequency. 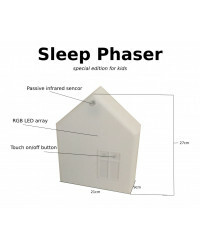 That means the flashing light really helps to reach the relaxed or concentrated state of mind. I am satisfied with the Mindroid application, so why should I buy the glasses? * The glasses offer better visual stimulation, results are reached faster, the stimulation is more effective. * You can feel the difference immediately. magenta is useful for contemplative meditation and enhancing creativity. Another important part of the process is frequency of the flashing itself. 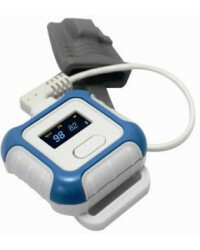 The stimulation is supposed to make the brain tune itself into the wished frequency. In general, a brain can wokr in four different frequencies (these can be measured via EEG, the electromagnetic field is generated by nerve cells in brain) . Each frequency supports different kind of activity - and that's why the audiovisual stimulation is used. According to your goals, you choose a program that tunes your brain into the right wave. 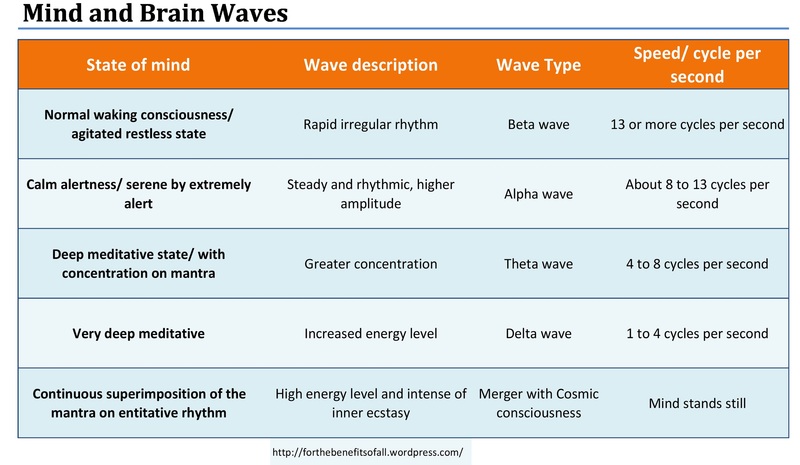 Beta (30-13 Hz): If tuned into this wave, the brain is in full readiness and awareness to which unrest, fear and stress can be connected. Attention is paid to what's going on around, looking for potential danger or opportunity. Alpha (12-8 Hz): Relaxed state in which thoughts can slowly stream through the mind, the person is in positive mode good for learning. Theta (7-4 Hz): The frequency of sleep and deep meditation, supports lively imagination as well as the ability to learn and remember. Delta (1-3 Hz): Waves of the deepest, dreamless sleep, very important for healing processes. My only complaint is how long it took to get to me. I guess they where having supply chain issues of some kind. Only other issue has to do with my phone. I wish it had a better micro USB connection. So the lead won't keep falling out.